Rustic all-cedar mailbox with the post, custom flag, and family name. Mailbox is large regular USPS size. Unique design mailbox, hand carved from the new cedar wood, naturally distressed like an old piece. Custom made deer flag and family name on the other side. 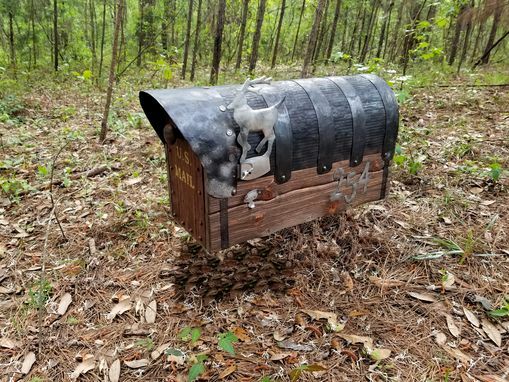 Note: if you want to customize this mailbox with your own size, details - please, contact me and we'll discuss your very own unique mailbox!